Celebrate the start of the summer with Bare Elegance this weekend! 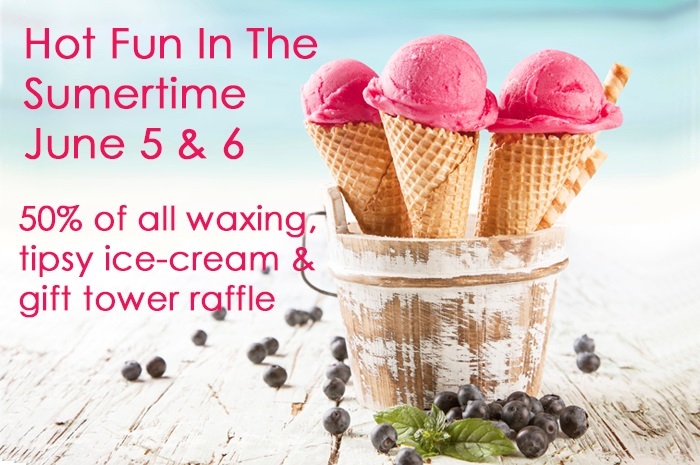 There will also be a drawing for an awesome "Hot Fun In The Summertime" gift tower! Click here for more details and to set up an appointment.